Come 4 o’clock this afternoon the 2013 edition of the trade deadline will be history. Jittery players can then relax. Rumor mill then takes a different path, rumors of players clearing waivers. There are more baseball trade rumors in one day that the entire season of pro football. Two teams that have struggled started a series last night. Phillies bats produced 13 runs in the first game back from the All-Star Game. Then, a total of 14 runs in eight games. Well, the offense came alive last night, ending the losing streak at eight. Seven runs is the most since that 13-run outburst on July 19. Ruiz’ HR in the fourth was his first since last September and the Phillies first in 66 innings. Zito lost, dropping to 0-7 on the road this season. So, since July 21, the Phillies and Giants are now 2-15. That’s hard to believe. 1-8 trip marked the fifth time the Phillies have done that: 1883, 1988, 1989 and 1995. Worst trip ever? How about 1-13 in 1939 or 2-17 in 1928. Pitcher – RHP, Shane Martin, Williamsport… 2 starts… 1-0, 0.82 ERA (1 ER, 11.0 IP), 10 H, BB, 10 SO… He was a 9th-round selection in this year’s draft. Player – 3B, Cody Asche, Lehigh Valley… 7 G… Batted .429 (12-28), 5 R, 3 2B, 3 HR, 9 RBI, 2 BB… His reward, getting promoted to the big leagues. **Lehigh Valley lost, 5-4, as the bullpen gave up 2 in the 8th and 3 in the 9th (3 singles, 3 walks). DH Tyler Henson, 2 HR. **Lakewood beat Hagerstown, 4-2, for its 3rd straight. C Chace Numata, 3rd HR. 1B Art Charles and 2B Alejandro Villalobos, 3 hits each, Jon Prosinski, 1st win at Lakewood. **Williamsport bested Brooklyn, 1-0, behind Drew Anderson, Mark Meadors and Tyler Buckley, a combined 3-hitter. **Gulf Coast League Phillies won their 4th in a row, 9-5, over the Pirates. 3B Jan Hernandez, 3B, 2nd HR, 3 RBI. 1B Wilmer Oberto, 3-5, boosting average to .348. SS J.P. Crawford, 9th SB; hitting .349. July 31, 1982–2B Manny Trillo’s major league record for consecutive errorless games ends at 89 when he makes a seventh-inning error in a 2-0 win over Chicago. He also sets a ML record for consecutive errorless chances, 479, during the streak. July 31, 1994–LHP Steve Carlton, the winningest pitcher in Phillies history, is inducted into the Baseball Hall of Fame. Cooperstown, NY—Just finished another delightful Hall of Fame weekend in this quaint, up-state New York village. If you are a baseball fan and haven’t been to the Baseball Hall of Fame and Museum, add it to your bucket list. Pronto. Forty Hall of Famers returned for the annual summer festivities. Three 2013 inductees are deceased as is the Ford C. Frick Award winner for broadcasting excellence, Tom Cheek. Paul Hagen, long-time baseball writer with the Philadelphia Daily News and now with MLB.com, was honored with the J. G. Taylor Spink Award presented annually to a writer for excellence and dedication to his craft. Paul was the lone live recipient. During World War II, induction ceremonies weren’t held. The Hall of Fame took the opportunity to have current members read the plaques of 12 who never experienced the honor, a classy tribute. Billy Williams read the plaque of Phillies great Ed Delahanty. Ironically, Williams had 1,475 career RBI; Delahanty, 1,466. The Otesaga Hotel was the headquarters for the Hall of Famers as usual. Credentials are needed to access the hotel. All hotel guests must wear the credentials. Fortunate to be housed there again. Best breakfast in the universe and the atmosphere is breath taking. Ralph Kiner is at the next table, Brooks Robinson, Hank Aaron, Bob Gibson, Gaylord Perry, Ozzie Smith….some of the best players of all time, all munching on omelets or small, round waffles. A large veranda, complete with two long rows of white rocking chairs, faces Lake Otsego. There isn’t a more peaceful location. Whitey Ford and I had something in common. We both dozed off Saturday afternoon while rocking. No, I didn’t say we were off our rockers. Jim Bunning and Pat Gillick were there. Mike Schmidt and Steve Carlton chose to pass. Tommy Lasorda is a yearly fixture and willing to hold court with anyone. Joe Morgan was gimping around on a sore right knee. “Need it replaced but not in the summer,” he explained. How’s Bill Giles doing?, he inquired. Village residents take the opportunity to profit from the annual summer weekend. Some folks rent their houses to Hall of Famers in need of housing for their families and friends. Parking is at a premium. Some residents sell parking spaces on their lawns. Saw a hand-made sign on Pioneer Street: “$30 parking. All day. Free to come and go as you please.” The property? A funeral home. Guess there are no funerals on Hall of Fame weekend. Former players sign autographs for a price. Some sit at a table on the sidewalk, others sign behind closed doors. Word was that Pete Rose was in one of the businesses selling his autograph. With three deceased inductees, the village wasn’t as crowded as usual. Main Street was still filled with fans of all ages, most wearing merchandise of their favorite team or player. Stores of baseball memorabilia line the street. Bats, balls, jerseys, caps, photographs, trinkets, Christmas ornaments, you name it. Beautiful large hanging plants (bright red vine geraniums) are spaced on either side of Main Street. They are watered and trimmed daily. The entire experience reminds me of Disney World. Instead of Mickey Mouse’s large ears, there’s Rollie Fingers famous handlebar moustache. The atmosphere is one of happiness. Streets are clean; people are friendly and courteous. You feel good walking around. You smile and acknowledge others who share your baseball passion. The outside world is….well, out there somewhere. As I left the village on Sunday night, reality set in. The Phillies have just finished a 1-8 road trip. 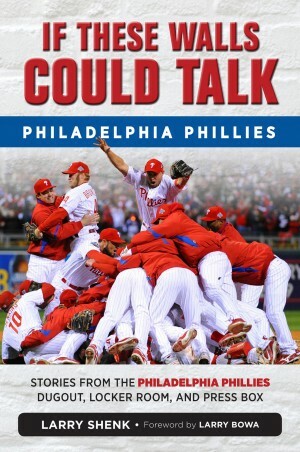 Phillies Insider is taking a break but will return on Monday. In the meantime, check out http://www.phillies.com/alumni. You’ll find a feature on the 1993 Phillies under “Where Are They Now?” Many of those characters will be returning for Alumni Night on August 3 and a salute to the ’93 NL Champs on Sunday night, August 4. There’s also a vintage photo of Alumni singing at last year’s Alumni weekend. Will there be an encore this year? Going into last night’s game there was a note in the Phillies media notes: their .263 batting average on the road is the fifth best in the majors. That average hasn’t translated into runs as the Phillies are 24th in that category away from Citizens Bank Park. The trend continued as the Cardinals opened the series with a 4-1 win. Pettibone kept the Phillies in the game but the offense couldn’t produce. It was the sixth straight start in with the rookie right-hander has allowed three or fewer runs. One of the Phillies seven hits was the 440th double by J-Roll. He’s now one behind Ed Delahanty for the most in Phillies history. The Phillies fell to 1-3 since the second half resumed. They’ve treaded water as the Braves and Nationals haven’t pulled away. In the last 10 games, Phillies 5-5, Atlanta 4-6, Washington 2-8. Pitcher – RHP, Nic Hanson, Lakewood… 2 starts… 0-1, 0.69 ERA (1 ER, 13.0 IP), 12 H, 2 BB, 4 R, 7 SO… A 16th round selection in 2012 out of Golden West College (CA), the 21-year-old was signed by Demerius Pittman. Player – OF, Wilmer Oberto, GCL Phillies… 6 G… Batted .400 (10-25), 8 R, 2 2B, 3B, 4 HR, 18 RBI, BB… The 20-year-old was signed by Jesus Mendez out of Bobare, VZ, in 2011. **Lehigh Valley won, 8-1, at Rochester. 3B Cody Ashe, 3 hits, including 11th-12th homers, 3 RBI. C Cameron Rupp, 3rd HR; WP Ethan Martin (11-5), 6 IP, 2 H, 0 R, 3 BB, 6 SO. **Reading lost, 6-3, at Binghamton. LP: Jesse Biddle (4-10) allowed 4 1st-inning runs and then shut the door. **Clearwater edged Jupiter, 3-2, in 13 innings. 2B Matt Tobert, walk-off single. **Lakewood lost, 5-3, at Rome. 1B Art Charles hit a 3-run HR (10th) to avoid a shutout in the 9th inning. **Williamsport nipped Auburn, 3-2. LF Justin Parr’s RBI single in the 6th drove in the decisive run. WP: Shane Martin (2-2), 5 IP, 7 H, 1 R, 0 BB, 7 SO. **Gulf Coast League Phillies were rained out. July 24, 1995–Phillies drop an 11-3 decision to the Colorado Rockies, despite RHP Omar Olivares’ pinch-home run, first by a Phillies pitcher since Schoolboy Rowe in 1943. July 24, 1998–Phillies sweep a doubleheader against Florida, winning both games in the 12th inning (6-4 and 7-6). Mark Parent catches all 24 innings. Summing up the Phillies weekend offense…..Friday feast, Saturday slumber, Sunday shutdown. Summing up the Phillies starting pitching over the weekend…..15 runs in 16.2 innings. So, the string of winning a series ended at four. Friday night’s offensive explosion put the Phillies in the driver’s seat for winning another series. But, the Mets recuperated with two wins behind a pair of impressive rookie hurlers. Cliff gave up seven homers in his first 16 starts, now nine in last four, including back-to-back three times. All three homers yesterday were on 0-2 pitches with two outs. Over the last 22 games on Saturdays and Sundays, Phillies starters have just two wins, Cliff on June 2 and Pettibone on July 7. Delta charter after Sunday’s game took the Phillies to St. Louis where they begin a three-game series against the first-place Cardinals on Tuesday night. Cards lead the league in runs scored and have allowed the second fewest runs. Since Busch Stadium opened in 2006, Phillies are 18-12 there. Week ends with three games in Detroit where the Phillies are 3-0. First-place Tigers have scored the second most runs in the AL; allowed the fourth fewest. Sunday August 4 game with Atlanta is now an 8:05 p.m. start for the ESPN Sunday Night telecast. 1993 Phillies will be saluted throughout the night. All fans receive a 1993 National League Champions pennant, courtesy of Toyota . . . Cardinals’ LF Matt Holliday went on DL Saturday . . . Yesterday’s shutout was the eighth against the Phils. **Lehigh Valley nipped Columbus, 2-1, yesterday to end a 6-game losing streak. RBI in the 3rd inning by CF Cesar Hernandez and SS Freddy Galvis. WP: Greg Smith (5-1, 1.93 ERA). Lost a tough one on Saturday night, 1-0, in 13 innings. **Reading won 1 of 3 in Portland, the win coming Friday night, 4-3. 1B Jim Murphy, 19th HR on Saturday; 4 HR in last 6 games. **Clearwater split 4 games, winning 4-3 on Friday (1st game) and 9-8 in 11 on Saturday. 3B Matt Tobbert, 6-17, in the 4 games. **Lakewood won 2 or 3 in Georgia, 3-2 on Friday night in Augusta; 10-9 on Saturday in Rome and losing there, 3-2, yesterday. LF Larry Greene, 6-11 for the weekend. **Williamsport won 2 of 3, including a 2-1, 12-inning decision over Lowell yesterday. C Gabriel Lino, 3-5 yesterday, double, 4th HR; raising average to .323. **Gulf Coast League Phillies split a pair against the Braves. 1B Wilmer Oberto has driven in a run six straight games, a total of 18 RBI. Has 4 homers in last 5 games. Hitting .351 in last 10 games with 20 RBI. Four days of Alumni activities begins on July 31 with the official retirement as a Phillie by Brad Lidge that night which follows the Alumni Luncheon for Seniors in the Diamond Club. Curt Schilling joins the Toyota Wall of Fame on August 1; Alumni Night introductions of some 50 former players on August 2 and an all-night salute to the 1993 Phillies on August 3, 8:05 start. Fans are urged to be on the lookout all around the ballpark before and during the games on Friday through Sunday of Alumni Weekend – you never know where your favorite former Phillies might turn up! Players scattered for the four-day All-Star Game break. Whether they were on the bus didn’t mattered. Being there for the workout did. The Mets are throwing their three best young pitchers in this weekend’s series, the start of a nine-game, three-city trip (St. Louis & Detroit). It is the Phillies’ fourth straight road trip involving three cities. Don’t know how many stories I’ve read saying this trip is crucial. Hey, every game, let alone every trip, is crucial. The Phillies finished 7-3 before this four-day break to get to 48-48. The Cardinals and Dodgers were also 7-3. Going into this series, the Phillies have won six straight games at Citi Field, a place which wasn’t friendly when it opened in 2009. Overall, the Phillies are 20-16 there. Sixty-six games remain on the Phillies schedule. Twenty-two are against the two teams ahead of them, Washington and Atlanta. History shows the Phillies excel after the All-Star Game. Since 2007, when their run of five straight division titles began, their 269-168 record is the best in the majors. Since Charlie came here in 2005, 357-228, second only to the Yankees’ 364-230. A year ago, the Phillies were 13 games under .500 at the break. They went 44-31 to finish the season at 81-81. Transactions: LH reliever Jay Johnson was promoted to AAA from AA. Cesar Hernandez, who went from AAA to Reading to play CF during the Lehigh Valley All-Star Game break, returned to the IronPigs. **Lehigh Valley lost, 3-2, to Columbus. IronPigs are streaky: lost 5 in a row; won 4 in a row and have now lost 4 in a row. Cesar Hernandez, 2-4, 28th steal; fielding error in CF led to an unearned run. LP: Ethan Martin (10-6), 6 IP, 3 R, 2 R, 1 ER, 3 BB, 6 SO. **Reading won, 7-5, at Portland. C Sebastian Valle, 8th-9th HRs; 5 RBI. 3B Maikel Franco, 3-5; hitting .389. WP: Jesse Biddle (4-9), 7 IP. 3 H, 2 R, 1 ER, 2 BB, 7 SO. SV: Michael Nesseth (5). Reading has won 3 straight after losing 8 in a row. **Clearwater was rained out at Bradenton. **Lakewood lost, 8-0, at August, getting two 8th-inning singles. **Williamsport lost, 8-4, to Hudson Valley, getting 3 hits, one being the 5th homer for 3B Zach Green. **Gulf Coast League Phillies blasted the Astros, 14-2. SS J.P. Crawford, 3 hits, 3 RBI; batting .400. DH Wilmer Oberto, 4th HR, a grand slam. July 19, 1955, 2nd game–Playing their sixth game in four days and with Robin Roberts pitching on two days rest, Phillies beat Cincinnati, 6-2, in Connie Mack Stadium. Roberts had two hits and drove in three runs while pitching a six hitter. July 21, 1973–RF Hank Aaron hits his 700th home run off LHP Ken Brett during the Braves’ 8-4 loss to the Phillies at Atlanta. July 21, 1997–RHP Curt Schilling strikes out 15, the most by a Phillies pitcher since Steve Carlton’s 16 in 1982, but loses, 3-2, to Pittsburgh. After 17 years with the organization, C Darren Daulton is traded to the Florida Marlins for Billy McMillon. Check out http://www.phillies.com/alumni for a vintage photo of Brad Lidge, who will retire as a Phillie on August 1 when the Giants are at Citizens Bank Park. All fans will receive a commemorative print of Brad. 84th All-Star Game is history, new memories for the players and fans. Thought it would be a good time bring you some All-Star Game memories from Phillies Alumni. Normal (or abnormal) Phillies Insider blog will resume Friday. 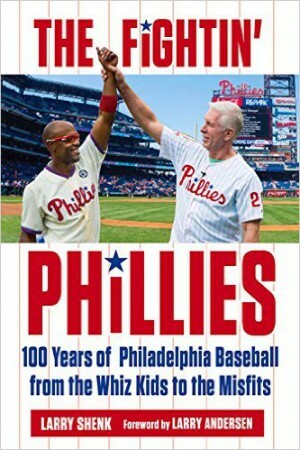 Facing three of the top National League teams, the Phillies completed winning each series, including the Nationals. Last night’s win gave the Phillies a 7-3 record against the Pirates, Braves and Nationals. They’ve now won five series in their last six. Clutch hitting and great pitching by KK, Antonio and Pap did it. Phillies defense made four errors but the trio of pitchers allowed only five Washington hits. In his last 18 starts against the NL East, KK is now 12-3. For the season, Phillies are 24-14 against the same division. Back to interleague play as the Chicago White Sox make a rare Citizens Bank Park visit this weekend. Last time the two teams meet was 2007 at CBP. The Phillies swept the three-game series. Chicago has the second-worst record in the American League. They’ve scored the fewest runs, 331 while allowing 394. Taking the Sox for granted isn’t something the Phillies can afford. The White Sox are fresh from taking two of three in Detroit. Both the Phillies and Sox are 5-9 in interleague play this year. Chicago is just 1-6 on the road. Phillies have a 5-4 edge over the White Sox in interleague play. Two weeks from this weekend, the Phillies are in Detroit for their last interleague series of the season. Steve Wulf, who, as a youngster, worshipped the Phillies’ Johnny Callison, is now an extremely talented writer for ESPN. The story is timed for next week’s All-Star Game at Citi Field, the first mid-summer classic in a National League ballpark in New York since Callison’s heroics. I knew Johnny but never as well as Wulf describes him. Don’t miss it. It is long but so worthy of reading. In the feature, Wulf mentions that Callison’s #6 uniform jersey sells for $295 these days. Well, it is available at Mitchell & Ness stories, including the Alley store in Ashburn Alley. **Lehigh Valley lost, 4-1, in 10 innings to Buffalo. Bisons’ 3-run 10th came on a 1B, BB, I-BB, BB, BB, WP. 3B Cody Asche accounted for LV’s lone run with his 10th homer. **Reading lost, 5-1, to New Hampshire. LH Jesse Biddle (3-9) took the loss, 4 runs in 4 innings. **Clearwater was rained out at Brevard County. **Lakewood edged Rome, 1-0, as three pitchers combined on a no-hitter: Jeb Stefan (3-4), 6 IP, 4 BB, 5 SO; Ramon Oviedo, 2 IP, 4 SO; Chris Burgess (2nd SV), 1 IP, 1 BB. **Williamsport dropped a 6-4 decision at Connecticut. DH Andrew Knapp, 1B, 2 2B, RBI, SB. **Gulf Coast League Phillies lost, 5-2 at the Yankees. July 12, 1900–LHP Frank “Noodles” Hahn pitches the first no-hitter against the Phillies this century, winning 4-0 in Cincinnati. July 12, 1994–RHP Doug Jones becomes the first Phillies pitcher in 50 years to win an All-Star Game when he gets the verdict in the NL’s 8-7, 10-inning win at Pittsburgh. July 13, 1900–3B Harry Wolverton triples three times in a 23-8 win at Pittsburgh, a record which still stands for the Phillies and Major League Baseball. in a row, his second longest winning streak with Phillies. July 14, 1896–OF Ed Delahanty with two doubles and a triple in a win over Cubs in Chicago, sets major league record for most extra base hits in two consecutive games with seven after hitting four home runs on July 13. Cliff was his usual self pounding the strike zone but his eight-game winning streak came to a halt as the result of rare back-to-back home runs in back-to-back innings (5th/6th). It was the second time this season, Cliff allowed multiple homers in a game and it was by the Nationals when he beat them 4-2 on June 18. It was the fourth time in his career, he’s allowed four homers in a game. Of the 29 hitters Cliff faced, he threw strike one to 25. At the time of the fourth homer he allowed, he had thrown only eight pitches out of the strike zone. The loss was the first for Cliff since May 1. Gio, the Nats’ ace lefty, shut down the Phillies offense. Neither team had a hit with a runner in scoring position, 0-9 for Washington; 0-7 for the Phillies. Series ends tonight with their All-Star ace, Jordan Zimmerman, on the mound. The White Sox come to town for the last games before the All-Star Game. John Kruk will pinch-hit for Darren at his September golf tournament. For the Alumni Luncheon for Seniors on August 1, Mitch Williams will replace Darren. Our thoughts and prayers continue for Darren and his family. Pitcher – RHP, Severino Gonzalez, Lakewood… 2 starts… 2-0, 3.18 ERA (4 ER, 11.1 IP), 5 H, BB, 14 SO… In his 1st start this week 7/2 vs Delmarva he retired all 18 batters (9 SO) he faced in 6.0 IP… He started the season in CLR but was transferred to LWD in late June in order to get more starts… He appeared in 12 G (1 GS) with CLR and has appeared in 3 G (all starts) with LWD… For the season, the 6-foot-2, 155 pound right-hander is 3-1, 1.90 ERA (9 ER, 42.2 IP) with 53 SO to only 4 BB… The 20-year-old, a native of Santiago, Panama, was signed by scout Allan Lewis as an amateur free agent on April 27, 2011. Player – 1B, Logan Pierce, Williamsport… 6 G… Batted .423 (11-26), 4 R, 4 2B, HR, 7 RBI, BB… He was a 15th round selection (451 overall) in June out of Troy University in Troy, Alabama… He currently leads the Cutters in AVG (.338), OBP (.390) and hits (24)… Pierce was signed by Mike Stauffer. **Lehigh Valley bested Pawtucket, 9-4. 3B Cody Asche, 5-5, including 9th homer; 4 RBI, 10th steal. SS Freddy Galvis, 2nd HR, 3 RBI. WP: Ethan Martin (10-4), 3 R, 5 H, 6 IP, 1 BB, 8 SO. After losing 5 in a row, LV has now won 4 in a row. **Reading on a 2-day All-Star Game break. Albert Cartwright was 1-2, a double; Jim Murphy, 0-2 and Seth Rosin threw 1 scoreless inning for the East. **Clearwater out-hit Brevard County, 8-5, but lost, 4-2, allowing 3 runs in the 8th inning. No decision: Mario Holland, 7 IP, 4 H, 1 R, 1 BB, 9 SO. **Lakewood defeated Rome, 9-1, behind Nick Hanson (3-1) and Zach Cooper (1st SV). C Justin Dalles, 2 doubles, 6 RBI. **Williamsport lost, 5-4, in 10 innings at Connecticut. 3B Zach Green, 2-4, 13th double. 2B Andrew Pullin, 1-5; hitting .405 in last 10 games. **Gulf Coast League Phillies lost, 4-1, to the Yankees, who had only 4 hits but scored 2 unearned runs on 3 errors. Mark Leiter fanned 6 in 2 relief innings, allowed 1 run. Phillies pitchers recorded 13 strikeouts. July 11, 1910–1B William “Kitty” Bransfield becomes the first Phillie to drive in eight runs in a game during an 18-0 win at Pittsburgh. July 11, 1931, 1st game–RHP Charles (Dutch) Schesler gives 22 hits while pitching eight innings of relief during the Phillies 23-5 loss to the Giants at Baker Bowl. LHP Jumbo Jim Elliott started for the Phillies, couldn’t get an out in the second inning and was charged with the loss. Schesler finished the game allowing 16 runs (14 earned) with no walks and one strikeout. Check out http://www.phillies.com/alumni for some Phillies All-Star Game facts. Look for the photo of Robin Roberts. For the first time all season, Cole has won two in a row. That’s hard to believe. He did it flashing the same kind of grit when he won a career-high eight in a row last year. Bases loaded, one out in the eighth and two right-handed hitters coming up, Charlie went to the mound and left. Cole stayed and closed the door with the his 10 biggest pitches of the season to give the Phillies their fourth win in five games on this tough homestand. Win also improved his Citizens Bank Park record against the Nationals to 9-3. Getting Cole on a roll is key for the Phillies to challenge. It doesn’t get easier these next two games as Washington sends its best two starters to the mound. Cliff and Geo tonight. Should be a classic. Phillies need one win to take the series. **Lehigh Valley beat Pawtucket, 5-1, behind Tyler Cloyd (2-8) who snapped a personal 5-game losing streak in AAA. His other win came May 3. Tyler threw 7 scoreless innings, first time this season he hasn’t allowed a run. 2B Cesar Hernandez, 1B, 2B, 3B, 3 R, 2 RBI. SS Freddy Galvis, 3-3, including 2b. C Erik Kratz, 2-4, 2B, RBI. **Reading is on a 2-day All-Star Game break. **Clearwater was pounded at Brevard County, 10-2. Attendance: 707. **Lakewood beat Rome, 5-3. SS Angel Mora, 2 H, 2 RBI, SB. WP: Miguel Nunez (6-7). SV: Delvi Francisco (3). **Williamsport defeated Auburn, 3-1. LF Sam Hiciano’s 2-run HR (1st) in the 3rd inning was the game-winner. Crosscutters have won 5 of last 6. **Gulf Coast League Phillies edged the Blue Jays, 8-7. 2 hits: SS J.P. Crawford, CF Cord Sandberg, 1B Wilmer Oberto, DH Herlis Rodriquez. Matt Soren, BS 1, W 1-0; fanned 5 of the 7 batters he faced. July 10, 1936–Back with the Phillies, RF Chuck Klein becomes only the third player in the NL to hit four home runs in a game, a 9-6, 10-inning win for the Phillies at Pittsburgh. July 10, 1972–GM Paul Owens puts himself in the dugout as a replacement for manager Frank Lucchesi in an effort to learn more about the players and their future. July 10, 1979–PH Del Unser sets a major league record with his third consecutive pinch-hit home run, this one a three-run game-winner in the bottom of the ninth which lifts the Phillies to a 6-5 win over San Diego at the Vet. 3B Mike Schmidt’s hottest home run streak includes his seventh home run in his last 15 at bats (5 games), which ties an NL record. A reminder, for news, notes photos of Phillies Alumni, check out http://www.phillies.com/alumni.